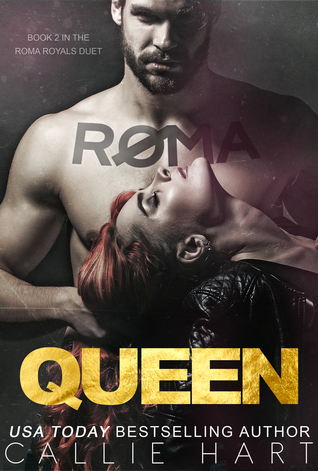 Sign into Goodreads to see if any of your friends have read Roma Queen. Jodie wrote: "Excited to see what you think, I am starting it tomorrow. Callie is one of my favorite authors ♥️♥️"
Happy reading ❤ excited to see what you think! Sanaa ☆ Sanaa's Book Blog ☆ wrote: "Happy reading ❤ excited to see what you think!" ☾☆ Nikki. ✿ wrote: "Ooooh enjoy!!! <3"
MissDemeanor wrote: "Enjoy! I can't wait for this. I loved the first one. :)"
Nilufer wrote: "Sounds like a great book and great review. I’m adding it to my read-list. Thank you🙏🏻"
KAT ♕ Kitty Kats Crazy About Books ♕ wrote: "The only drama is from the hero’s mother, other than her zilch"
MissDemeanor wrote: "Uggghh your review is perfect! I can’t wait for this! ❤️❤️❤️"
Glad this one was a winner, Kat! Nazanin wrote: "Wonderful review, Kat! Glad it was a winner! 💜"
Mindy Lou's Book Review wrote: "Great review, Kat! 🙂"
Beatrice wrote: "Awesome review, Kat! :D"
Sonya ♕Chatterbooks book blog♕ wrote: "KICKASS review beotch!! <3 xoxo"
Radd Reader wrote: "Great review!" 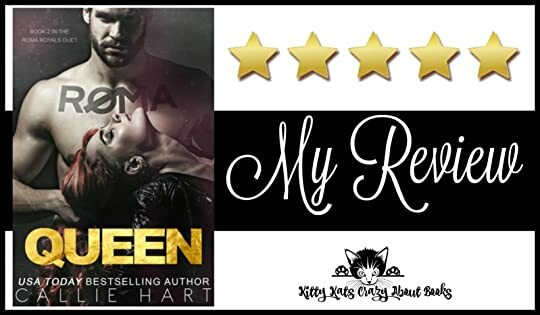 Nikki ღ Navareus wrote: "Spectacular review, Kat! 😘"